I drink things other than beer. And sometimes I get to write about those things. David Ort, who, in addition to being a blogger and a cookbook author, is also an editor for Post City magazine, has actually been letting me write occasional non-beer posts for his employer for the last few years, and it’s served as a pretty great way for me to try to learn a bit more about certain categories of alcohol and then try to share my findings and tasting notes with an audience. And let’s be honest, it’s also proved a pretty good way to get the occasional bottle of something interesting and strong sent to the house. As I grapple with another one of these sporadic musings on spirits (Cognac! Coming soon), I thought it might be a good occasion to revive the near-dead Friday Link Roundup, a feature I’ve been neglecting wherein Ben’s Beer Blog used to lazily point you to other beery things worth reading on the interwebs. For this resurrecting installment, I’ve put together list of some of my Post City musings so that I might inspire your non-beer drinking this weekend. Sometimes enjoying whiskey can feel overwhelming: On Wild Turkey 81. In Spirit: On J.R.’s Dry Organic Canadian Gin by the Toronto Distillery Company. Categories: Friday Link Roundup | Tags: Casamigos Añejo, david ort, J.R.’s Dry Organic Canadian Gin, jp wisers, liquor, post city, spirits, tequila, toronto distillery company, Wild Turkey 81 | Permalink. 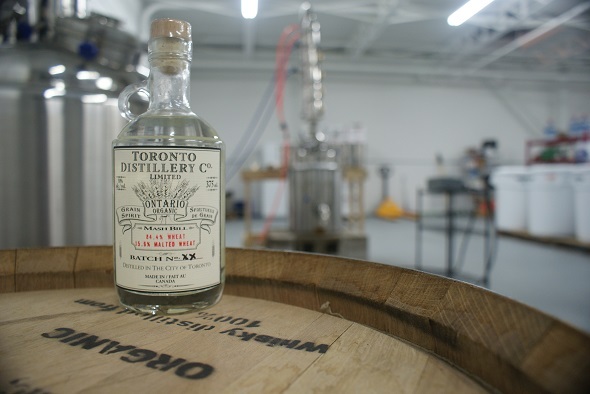 The Toronto Distillery Co., a local maker of organic spirits, is in a fight with the LCBO about unpaid fees that could threaten the company’s existence. Their argument stems from the Constitution Act of 1867 which states that all taxes in this country need to be legislated. That is, they need to be presented in the house (federal or provincial) and then voted on. As such, the Toronto Distillery Co. claims that current fees for onsite stores that are imposed on distilleries and created by the Ministry of Finance (and not voted on), are not consistent with this law. Categories: Liquor | Tags: lawsuit, LCBO, tax, toronto distillery company | Permalink.